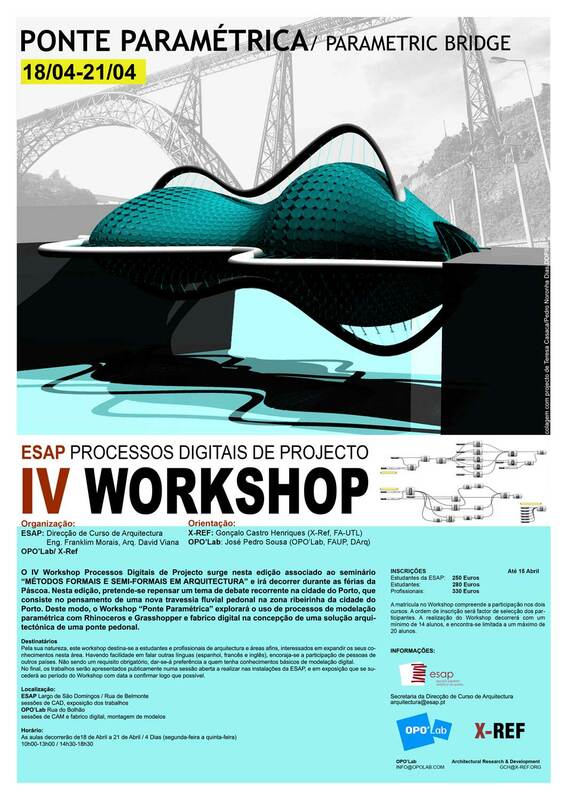 The IV Workshop Digital Design Processes is associated with the seminar Formal and Semi-Formal Methods in Architecture, that will be held in Oporto in May. 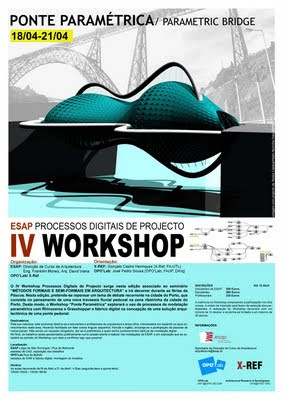 The workshop by X-Ref and OPO’Lab will be held during the Easter holidays. In this edition, the challenge is to rethink a recurrent topic of debate in Oporto, the connection between the two margins of the Douro River. The workshop Parametric Bridge will explore parametric digital techniques and digital fabrication, using Rhino and Grasshopper to design an architectural solution for a pedestrian bridge.